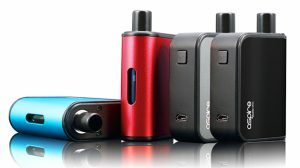 Innovation, affordability and the occasional insane idea sums up the global vaping leader, SMOK in as few words as possible. For close to a decade, this company has pushed the envelope to create some of the most recognizable vaping hardware on the planet and it looks like the latest creation, the Morph 219 kit is no exception. Stick around for the next few minutes as we take a quick look at the specifications, the killer design, and the elements that make this the start of a new breed of vape mods. Whether you have just picked one up or are looking for information to see if this is the mod for you, we are going to break down what you can expect with the kit, take you through its functionality, and even introduce you to the latest member of the world famous TFV line of tanks. From its birth in 2010 in the Nanshan district of Shenzhen City, China (under the umbrella of parent company Shenzhen IVPS Technology Corporation Ltd), SMOK has created a wealth of knowledge in research, development and the manufacturing of electronic systems. 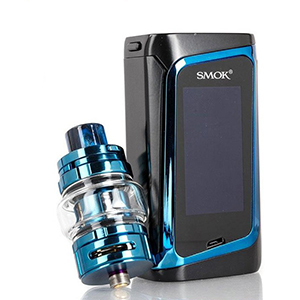 A powerhouse from its early days, SMOK has brought a worldwide customer base innovation after innovation and it doesn’t appear to be slowing down any time soon. 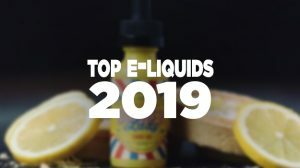 Companies that can boast over 3 million sales of a single device worldwide is worth paying attention to, and with the release of the Morph 219 kit vapers everywhere are taking notice. Fans of SMOK’s Alien kit may possibly see certain similarities in appearance, such as the banded lines around the screens and slightly twisted USB connection port but that is about as close as they are to each other. The Morph 219 is probably the most advanced piece of hardware that is currently on the market, as soon as you look past the outer skin and get to its functionality. Sleek lines, built to last, the SMOK Morph 219 from SMOK is a step away from recent releases. 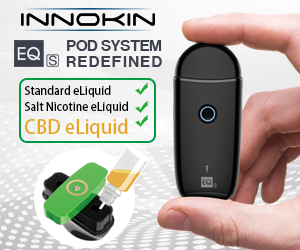 Measuring in at 84.5mm by 44.8mm by 30.2 mm and weighing in at 158 grams without batteries, this is a solid, middle of the road vaping device. Firing up to 200 watts on dual 18650’s (sold separately) the Morph is a hard-working piece of kit. As we already mentioned, at first look it is reminiscent of the legendary Alien Kit, with sweeping lines around the entire box, but instead of Carbon Fiber inlays and adjustment buttons, you will find a 1.9-inch touchscreen on the front and a beautiful Resin inlay on the back. The Morph 219 mod is a masterpiece of technology, pushing further than most mods on the market would dare. Menu systems that are simple to operate and a child-locking system that goes above and beyond anyone’s expectations come as standard. Add to this a firing speed that is faster than any mod on the market and, on paper, this looks like one of the finest vaping devices ever made. As always, SMOK has created a varied color palette to ensure that there is a SMOK Morph 219 for everyone’s taste and those color matched Resin plates make this mod feel like a personalized work of art. Inside the Morph 219 kit are the latest, and potentially greatest, members of the award-winning TFV family. 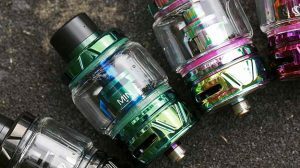 Whether you get the TPD version or US version determines which tank you get, SMOK has included either the TFV8 V2 for the European market and the TF2019 Tank with higher tank bases, bigger glass and a killer new coil set. Mesh or ceramic, these coils have already been hailed as cloud producers with better flavor than anything that SMOK has previously released and the Resin tips that they ship with tying them perfectly to the amazing Morph 219 mods. Inside the box, you will find the SMOK Morph 219 Mod, a 6ML SMOK TF2019 Tank, a 0.25-ohm TF2019 BF-Mesh Coil that is pre-installed, a 0.35-ohm TF2019 BC-Mesh Coil, a Bulb Glass Rubber Protector, USB Cable, User Manual, and some Spare Parts. At first glance, this may seem like a complicated mod to figure out, but after just a couple of minutes, you will realize its easier than using your cell phone. The user interface on this device is so simple a four-year-old could figure it out in seconds- or they could if they knew how to bypass the passcode system. Installing Batteries: The battery door for the Morph 219 is on the base. Slide the catch on the bay door and install the batteries with the polarization matching the symbols inside the door. Turning the Morph 219 On/Off: 5 rapid clicks on the Fire button will turn the device on. Removing the batteries or using the Power Off option in the General menu will turn the device off. Screen Lock/ Screen Black/ Screen Unlock: Using the Secondary key, located above the Fire button will affect the screen. Holding the button while the screen is switched on will lock/unlock the screen, a quick press will turn the screen dark. Hitting the main Fire button on the mod to vape automatically locks the touch screen. Changing Wattage: Hit the home button on the screen (top left, looks like a windows symbol), make sure you have wattage mode selected. If you are already in wattage mode, press the up and down arrows on the main screen to adjust. Changing Modes: Hit the home button then touch the mode option. This will bring you to the screen where you can choose between Power, Temperature Control TCR Mode and the awesome memory mode, or MyMode. Store your favorite settings for 4 of your favorite juices that you can pick by name to make life super simple. System Settings: Chipset information, change the wallpaper on the Morph and the screen color. Passcode: You can turn the passcode off if you choose to, but for those of us with kids it’s a lifesaver. You can set your own 4 digit passcode and also 2 4 digit security questions if you ever lock yourself out. 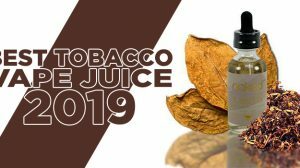 We hope that you have found this complete guide helpful, especially if you are currently considering purchasing a SMOK Morph 219 kit. It’s a state of the art, killer device with some insane design features that we’ll see becoming one of the best-selling mods of 2019.